Trying to induce inflation to reduce accumulated debt is not a modern invention. Dr. Carmen Reinhart and Dr. Kenneth Rogoff trace this kind of financial crisis and others back to the Dionysius of Syracuse during the 4th century. The debasement of currency also occurred in the Roman empire and Byzantine empire and as usual printing money or devaluing your own currency does not usually lead to beneficial outcomes if we are to use history as any guide. We need to be upfront about what is going on here and that is the globe is reaching a peak debt situation. Think of the recent problems we have seen in Iceland, Ireland, and Greece. Yet these are simply tips of the visible iceberg of financial mania in our current system. Europe has many issues to contend with especially when looking at Spain, Italy, and Portugal. Here in the U.S. the Federal Reserve and U.S. Treasury are doing everything they can to ignore the reality of our current situation. Politicians are unable to make the hard choices and bankers simply want to extract productivity from the working classes. Our current predicament is not unusual in the books of history but the size and global interconnectedness is. Speculation is inherent in most financial panics. 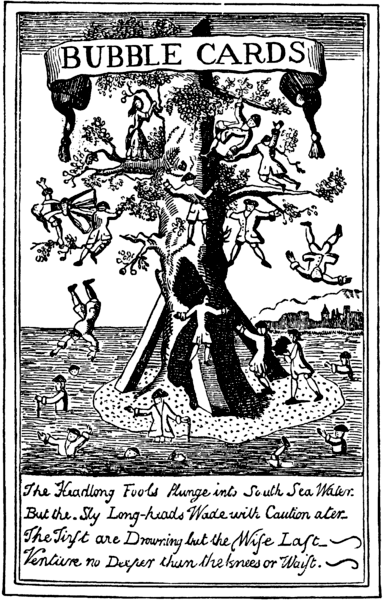 The above picture is from the South Sea Bubble of 1720 where investors speculated in South America. This was largely concentrated in the United Kingdom but had a parallel event with the Mississippi Bubble that concentrated speculation in France. Bubbles seem to spread so it is no surprise that Europe was whipped up in frenzy and when the bubble popped, the economies crashed and many were left infinancial ruin. In both cases investments were exaggerated in value and many people got sucked into the desire for a quick buck. Banks like the Banque Générale Privée were more than happy to allow the speculation to continue. We can find many parallels in our banking system and how it was central to the U.S. real estate bubble. 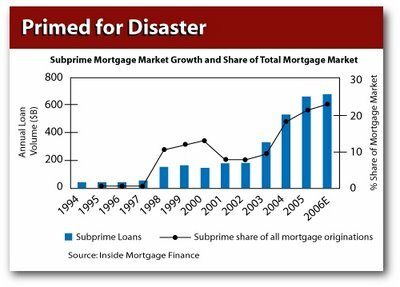 How is it possible that with historically low 30 year fixed mortgage rates that subprime loans were pushed onto the general public? 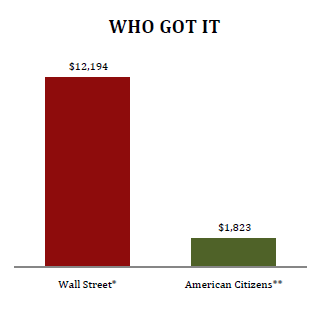 As we now painfully know, many of these loans were aggressively pushed by mortgage brokers with the nudging of Wall Street to mostly poor working class Americans when either a more suitable 30 year conventional mortgage would have sufficed or frankly no mortgage at all because low income or no savings were even present as a buffer. Yet bubbles bring out the charlatans in every society. It is no slight irony that John Law, the Scottish economist was also a gambler and had the amazing ability to compute complex mathematical equations all in his head. He was also at the heart of the Mississippi Bubble that imploded wonderfully. Unlike a system of calculus or physics we find that economics tends to bend to the will of those in power. Wall Street hires economists that tend to favor their best outcomes even if bias is strewn all through the data. The fact that we are now living in the deepest economic crisis should tell us something about the power of the financial system we now have in place. I wonder how history will remember this financial crisis ten years from now. If things remain the same, historians will wonder how a society allowed a financial industry to simply raid their savings accounts and steal their productivity and then have the gall to request a taxpayer bailout for a mess they largely created. In a free market system (which we do not have contrary to banking mythology) the higher the risk you take, the more reward you can garner. Fail, and you can lose and even lose it all. The American public has lost a large amount in this crisis. Many have now lost the prospect of being able to afford for a good college education without going into debt servitude or having reasonably priced healthcare. Many have lost accessible industries that would provide a middle class lifestyle like that enjoyed from the previous generation. Many have paid dearly by losing theirhomes through foreclosure, seeing their savings dwindle to nothing, and facing rising costs even though we are told that inflation is controlled. Banks on the other hand have paid very little for this crisis and in fact the too big to fail have become even bigger and more powerful. 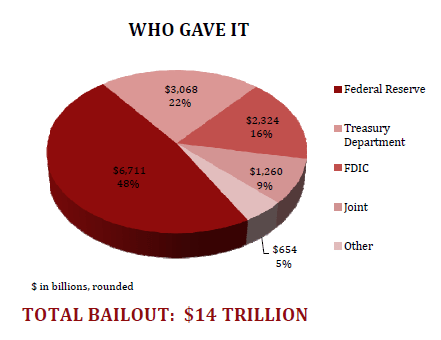 Instead of failing as necessary they deemed it sufficient to use their political connections to maneuver massive bailouts that simply transferred wealth from the bottom right up to the top. Looks like we are going to rewrite the history on major panics with this financial crisis but let us hope we can learn lessons that develop a stronger system in place instead of allowing asystematic looting of financial wealth from the population.